Huang Kunming, a member of the Political Bureau of the CPC Central Committee and head of the Publicity Department of the CPC Central Committee, made the remarks when meeting with foreign experts attending a symposium on the economic lessons learned from China's 40 years of reform and opening-up held by Tsinghua University. Saying reform and opening-up has not only reshaped China, but also benefited the world, Huang stressed China will unswervingly push forward the policy. "No matter what development level China reaches, it will always learn from other countries in a humble manner," Huang said, expressing his hope that international experts will continue to contribute to China's development. 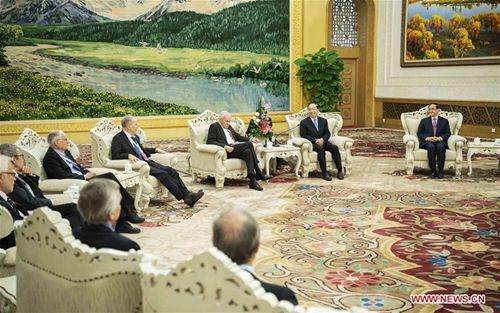 The foreign experts voiced their admiration of China's achievements in reform and opening-up, and promised they will help facilitate understanding of China from abroad.